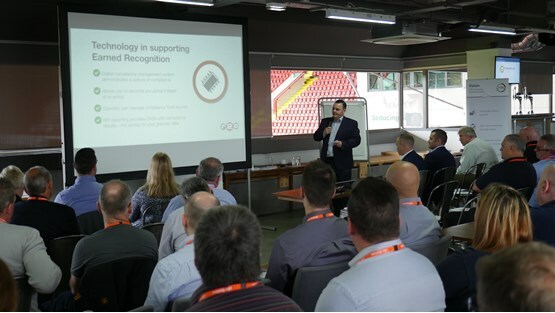 Earned Recognition goes live in April next year marking the first step fleets must take towards full digital compliance. Although the scheme will be voluntary, it is part of the Driver and Vehicle Standards Agency (DVSA) commitment to move towards digital operations which it hopes will help it filter the compliant from the non-compliant in a more transparent way. Earned Recognition will allow operators to demonstrate their O-Licence compliance without the need for time-consuming roadside checks. Instead the DVSA will focus its resource on the serially non-compliant operators at the roadside and rely on transparency of digital systems to monitor the rest. The level of invasion is minimal. Fleets achieving Earned Recognition will only be required to submit a monthly report showing their results against certain key performance indicators (KPIs) set out by the DVSA and undergo a periodical audit. DVSA will see no data other than this monthly report and if you achieve all the KPIs, the report will be blank. Not everyone can sign up, though. Your business must have held an operator’s licence for a minimum of two years, had no regulatory action by a Traffic Commissioner for at least two years and have robust systems in place that promote effective and proactive transport management. If all these boxes are ticked, the next step is to pass an audit carried out by an approved third party supplier. It will look at samples of your vehicle and driver records, drivers and operating centres your business is responsible for. Once the audit is complete, digital KPI reports must be sent to the DVSA highlighting the areas where you failed to achieve the set requirements. In order to be accepted on the scheme, you must have the capability for digital reporting using a DVSA-approved fleet management software package. It must also monitor 100% of your vehicles and drivers. Philip Lapczuk, Earned Recognition project manager at the DVSA, says: “We aren’t looking to punish you on this. 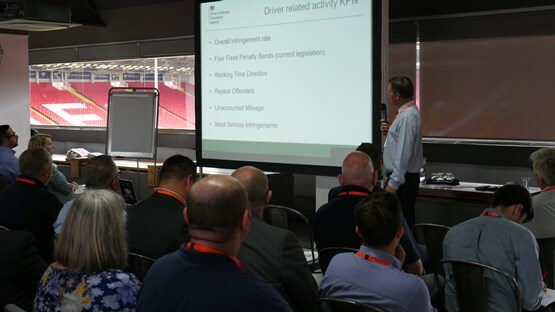 Speaking at an R2C Online Earned Recognition conference, he confirmed that the DVSA will not take enforcement action on infringements or issues found through KPI reporting. “Our expectation is you will contact us if something is going wrong. "We want to know that you are aware of your compliance and are handling it. It’s up to you to call us and let us know what you’ve done to rectify it,” he explains. The KPI reports must be automated and sent four weeks in arrears, to give fleets time to acknowledge and rectify any issues that arise. The targets are set in accordance with O-Licence requirements so there is no need to do any more than you already should. Fleets that fail to meet the KPIs consistently could be removed from the scheme. R2C Online has been working closely with the DVSA and the Freight Transport Association (FTA) to develop its Exemplar package. It combines the company’s existing fleet management platform with digital driver checks and a KPI reporting tool allowing operators to manage everything required for Earned Recognition, such as driver and maintenance compliance data, in one place. Jason Fitzgerald, sales director for R2C Online, says: “Whether you are ready for Earned Recognition or not, it’s time to go digital. By switching to a digital system, building materials company Cemex was able to improve its compliance by 75%. The company’s fleet management was originally paper-based, with some paperwork held centrally and some spread across its sites. Vehicle inspection sheets had to be emailed and manually filed. “Reports weren’t filed in real time which could result in a compliance concern. We needed an automated system that was more efficient,” says Clarke. Once he switched to a digital solution, Cemex was able to dramatically reduce its administration time. Similarly, Ian Rowe, fleet maintenance manager at construction company Mick George, has also embarked on a digital journey. He made the switch in 2015, but it was the company’s in-house workshops that first adopted a digital solution. “We did everything the old fashioned way, it was all paper-based. The inspection sheets would arrive from the workshop by post and need sorting; often we couldn’t even read them. "Once they started sending digital reports it was much easier, we had greater control and no need for filling cabinets stuffed full of paper,” Rowe explains. The system was quickly adopted by the whole business, saving it 70 hours per week in administration. Driver checks are completed via an app which is linked directly to the workshop, allowing it to track work in progress and manage booking requests. For some the transition will be easier than for others. Dave Rowlands, technical services director at logistics company Wincanton, explains: “If you have a small fleet it’s very easy and I’d recommend you jump straight on it. “For us it’s not as straightforward, we’ve got 3,600 vehicles across 570 operating centres. Wincanton’s fleet is very mixed. Rowlands says: “It’s a large lump to look after. It’s multi-contract, multi-site, some is owned, some is rented and some is donated. In addition, Rowlands doesn’t have sole control over all his vehicles, as some are operated under a customer’s O-Licence. Having already opened his digital tachograph system to the DVSA three years ago, Rowlands says the driver reporting is the easy bit of Earned Recognition. Despite the challenges, he also now has full digital control of vehicles and maintenance through the same electronic system. “We now have full corporate transparency,” Rowlands explains. “It doesn’t come cheap though; there is an investment that needs to be made, especially if your IT infrastructure is dated. 3) Speed limiters: Are they worth it? With the launch of the Driver and Vehicle Standards Agency’s (DVSA) Earned Recognition pilot scheme, the Freight Transport Association (FTA) has created a joined-up solution to help operators complete all the steps to demonstrate they have achieved the required standard. r2c Online has developed its platform to provide a new industry standard for those taking part in the DVSA Earned Recognition pilot. Jaama is supporting the Driver and Vehicle Standards Agency (DVSA) on its earned recognition scheme pilot and encouraging operators to take part.